In the run up to Christmas, adland is still unveiling even more Christmas spirited adverts onto the world. This year’s most popular theme seems to be emotional guilt featuring grandfathers, with German supermarket chain Edeka’s latest advert becoming a viral hit around the world and being called ‘the most heartbreaking Christmas advert ever’. Luckily for some, one brand decided to do something completely different this year with an entirely blank advert. The chocolate bar Kit Kat just released their calming advert, featuring no images and a soothing voiceover insisting you take a break from all the crazy Christmas ads. In a storyline similar to the Vodafone Christmas advert, a turkey again counts down the days before he’s served up for Christmas dinner. In the Nando’s ad, a chain restaurant specialising in chicken dishes, instead of the family going vegetarian, a heroic chicken steps forward to take the turkey’s place. It all becomes a bit emotional with the sync licensing of Frank Sinatra’s ‘Have Yourself a Merry Little Christmas’, while the turkey tries to enjoy his last moments. Another week, another lonely grandfather. This time it’s coming from the German supermarket chain, Edeka, where instead of resigning himself to a lonely Christmas like his fellow British comrade ‘man on the moon’, this grandfather decides to emotionally manipulate his children into spending Christmas with him. Their reasons for skipping Christmas seem justified – one child has a big family to look after, one is a doctor, and one is on a business trip in China. Nevertheless, the guilt of his children is maximised with an emotional sync license from female singer-song writer, Neele Ternes. The music plays into the Christmas cliché, in which the best way to drive an audience to tears is a slow melody and some touching lyrics. 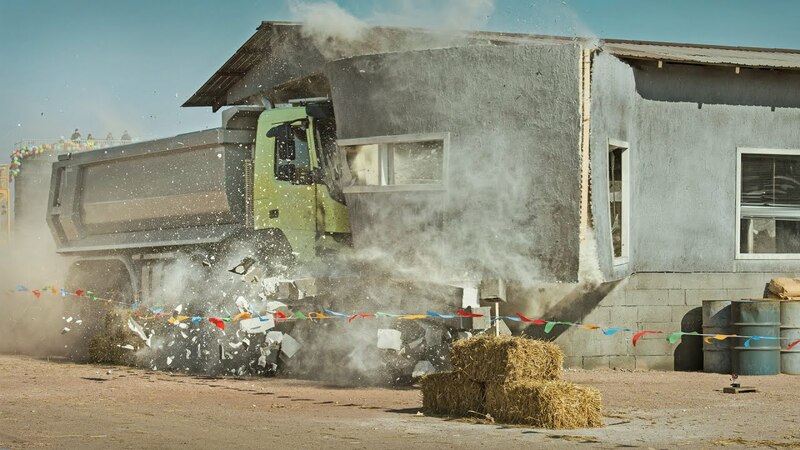 Four year-old Sophie Brown causes chaos in Volvo Trucks’ newest advert, when she tests out the capabilities of one of their trucks. Set to the Swedish electro reggae pop band Teddybears’ catchy ‘Cobrastyle’, Sophie remote-drives the truck through explosions, water, and also manages to topple it over. Part of all the fun is the pre-cleared music, which gives the advert a sense of child-like excitement.